When the Soviet Union launched Sputnik in 1957, it triggered the infamous space race with the United States, resulting in some of the most triumphant technological advances in human history. This intense competition fueled the development of the space industry in the United States and Russia, which remain two of the most advanced space-faring nations in the world. Today, Canada, Japan, India, China and other nations have also risen to demonstrate their technological prowess in space. It’s safe to say that no industry has been more influenced by space programs than the satellite industry, which was effectively birthed by national space pursuits. And space programs have continued to multiply well after the space race drew to a close. The United Nations Committee on the Peaceful Uses of Outer Space (UN-COPUOS) has swelled to 77 members, becoming one of the largest committees in the entire organization. Rather than finding inspiration in the Cold War, new actors in space continue to push the limits of technology for the sake of exploration, to develop valuable talent, and perhaps most importantly, for the benefits space-based services bring to people on the ground. New players are increasingly focused on collaboration with experienced nations and companies. They are taking a different path, leapfrogging beyond what was possible for the fledgling space agencies of the past. Via Satellite spoke with leaders from nascent organizations advancing satellite technology all around the world to unveil what the leaders of tomorrow are planning. In 2006 the government of the United Arab Emirates (UAE) formed the Emirate Institute for the Advancement of Science and Technology (EIAST) with the goal of positioning the UAE at the forefront of space science and technology development. Since then, EIAST has been laser-focused on building up the UAE’s domestic satellite capabilities. DubaiSat 1, the agency’s first spacecraft, launched in 2009 and captures images at 2.5-meter resolution from low Earth sun-synchronous orbit. The next satellite, DubaiSat 2, launched in 2013 sporting a push-broom camera with Time Delay Integration (TDI) sensors: one panchromatic at a sampling distance of 1-meter and four multispectral bands at 4-kilometers. EIAST is now applying what its engineers learned with these spacecraft to build KhalifaSat, the agency’s most capable satellite yet. “For DubaiSat 1 we worked with the Satrec Initiative in South Korea with about 30 percent participation on our end,” says EIAST Director General H.E. Yousuf Al Shaibani. For DubaiSat 2, however, EIAST put together a core team of UAE engineers and experts to build this satellite with 70 percent participation. Now, EIAST is taking it to the next level. “There’s been a significant growth in skill and expertise giving us the confidence to take the lead with KhalifaSat, the first satellite to be designed and manufactured purely by Emirati engineers,” he says. While the process for KhalifaSat started in South Korea, that work will soon continue on UAE soil in a newly constructed satellite manufacturing facility, completely in house. KhalifaSat is a replica of DubaiSat 2, but with vastly improved data and image capture capabilities. The satellite will have an industry-competitive ground sampling distance of 0.7-meter panchromatic and 4-meter imaging in multispectral bands. Al Shaibani says the download speed and computing capabilities have also been advanced. EIAST is developing a core team of Emirati engineers to keep the UAE in a leadership position within the Middle East’s space related programs, and to advance the country’s socio-economic plans. Al Shaibani says EIAST provides several government entities with data from DubaiSat 1 and 2, which they no longer have to outsource. In building up these domestic capabilities, international collaboration has been very important for EIAST. The Satrec Initiative of South Korea has been the institute’s most fruitful collaboration. The agency is also working with Airbus Defence and Space on a first generation High Altitude Pseudo Satellite (HAPS) system, and engaged the National Space Agency of Kazakhstan in an exchange of scientific skills and human resources in the fields of remote sensing, space communications and global navigational systems. Al Shaibani says a fourth, 100 percent Emirati-built satellite is EIAST’s next goal, and that the agency is not afraid to dream big. He expressed enthusiasm at the accomplishments of the Curiosity Mars rover, the Rosetta Comet mission and the upcoming ExoMars spacecraft. Your Business Adapts to Change. we're engineering a better tomorrow. You told us what you wanted. We listened. We modernized our industry-leading A2100 satellite. Same high performance. Same reliability. But with a reprogrammable mission processor for changing satellite configuration on orbit. A narrower profile for side-by-side dual launch. And production breakthroughs that reduce cost and schedule. The modernized A2100. What innovation looks like. South Africa is currently finalizing its national space program to provide a vision for the country that stretches to 2030. Formed by the South African National Space Agency Act 36 of 2008, the South African National Space Agency (SANSA) was officially created in 2010. Three years later the agency launched South Africa’s first CubeSat, TshepisoSAT, also known as Za-Cube1, which continues to provide scientific data to universities and to the agency. But SANSA will not stop there; it has more satellites planned for the near future. SANSA’s 2020 Earth observation satellite is EO SAT1. The satellite was previously known as the ZA-African Resource Management Constellation (ARMC) 1 satellite, ZA ARMC1. South Africa, Algeria, Nigeria and Kenya founded the ARMC constellation for the purpose of addressing core remote sensing needs of the continent’s decision-makers. EO SAT1 will contribute to the constellation but is primarily being developed for South Africa while efforts are made to bring more African countries onboard for the regional system. Outside of Africa, SANSA has participated in a number of high-profile science missions. 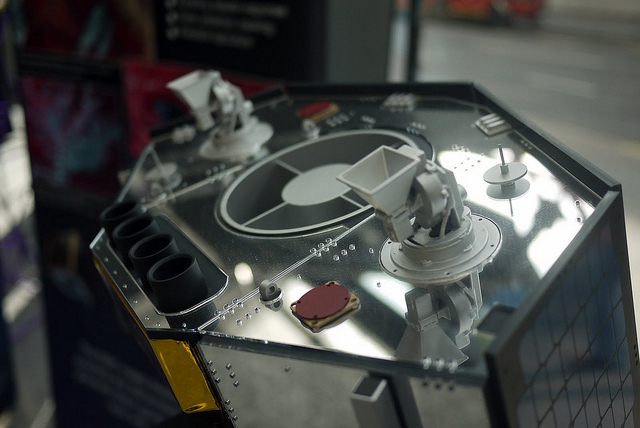 Through an agency-owned ground station, SANSA has supported NASA’s Lunar Atmosphere and Dust Environment Explorer (LADEE) mission and the Indian Space Research Organization’s Mars Orbiter Mission (MOM). The agency also hosts Africa’s only Space Weather Center, which monitors solar activity. Malinga highlighted knowledge sharing and collaboration with space industry veterans as a way to accelerate SANSA’s progress in meeting mandates from the South African government. “Developments in space technologies and knowledge is evolving at a rapid pace and it would not serve us well to reinvent the wheel, so collaborations are encouraged and supported to enable rapid progress with maximum benefit,” he says. SANSA’s next Earth observation satellite also includes a strong focus on developing a local space industry. Malinga anticipates South Africa’s next satellite will create space industry jobs and build up the country’s national talent base. SANSA and the government of South Africa see space as a way to shift the nation’s economy toward one that is more knowledge-based rather than resource-based. Malinga says there is growing enthusiasm among students and young professionals about space-related careers in South Africa too. “As a young space agency we are seeing a growing interest in the scientists, engineers and technicians who want to be a part of this growing area of opportunity in the country. SANSA also enables our citizens to access other space companies and agencies, which offers greater opportunity for our citizens,” he says. In 2007, Jonathan Hung founded the Singapore Space and Technology Association (SSTA) to stimulate the country’s satellite industry. While Singapore has an economic space office, it has no specific agency dedicated to developing the field. Hung saw potential for industry to propel Singapore to become one of the world’s most advanced space hubs. “I see the commercial companies taking a huge interest in moving the bar further out. That’s very inspiring because in the past, programs were confined to government agencies. With commercial companies taking the lead now, I think that’s going to be another game-changer,” he says. SSTA works with academia, industry and government agencies in and outside of Singapore to foster this goal. Hung says the space industry scene started heating up after Singapore’s first locally produced experimental satellite, X-Sat, launched in 2011. 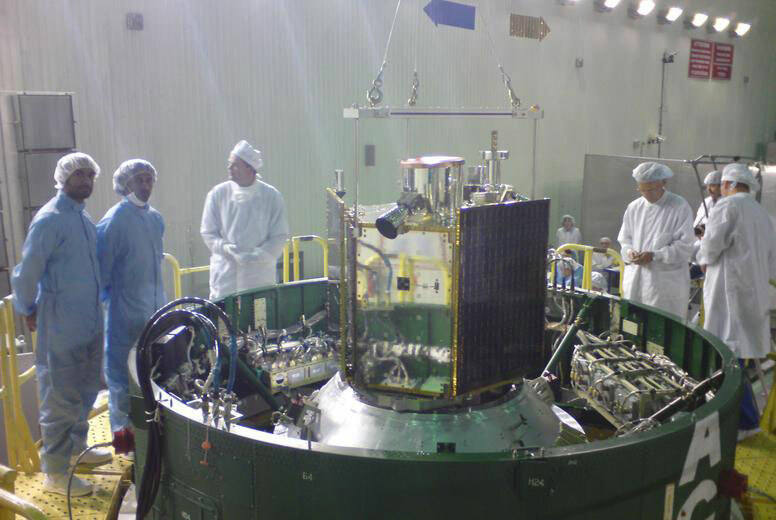 During X-Sat’s 3-year mission (which will be completed in April), two more satellites, Velox 1 and Velox P3, launched aboard an Indian Polar Satellite Launch Vehicle (PSLV). Also during this time, ST Electronics Satcom & Sensor Systems, DSO National Laboratories, and NTU formed the joint-venture ST Satellite Systems. The company is manufacturing Singapore’s first commercial remote sensing spacecraft, set to launch aboard another PSLV in 2015. Five other university satellites are also under development. “[Going] from one experimental satellite to six satellites next year is quite a big jump. It is a showcase that there are a lot of opportunities in satellite here in Singapore that have both the commercial efforts to spearhead it, commercial industry to support it, as well as strong government backing,” says Hung. Lots of multi-national corporations have had a presence in Singapore, but not always a space-related one. Hung says it has been encouraging to see U.S. companies team so quickly with Asian partners in a brief span of two to three years. SSTA has helped facilitate collaboration between companies both domestically and internationally on Research and Development (R&D), prototyping and knowledge sharing. While by no means a newcomer to space as a nation, the United Kingdom Space Agency formed a mere five years ago, back in 2010. Since then the agency has embarked on a mission requiring a lot of chutzpa: grow the U.K.’s space sector to comprise 10 percent of the global space economy by 2030. ‘This sector has been growing for the last seven to eight years at a very consistent rate. It’s something that hasn’t been widely known, but the sector has known it,” says Alice Bunn, director of policy at the U.K. Space Agency. She adds that the goal, which includes the creation of 100,000 new jobs, was chosen because it strikes the right balance between ambition and achievability. Much of this growth, according to Bunn, is downstream in the applications and uses of space technologies. Space happens to provide the best vantage point to provide needed services. “When we are talking about the challenges of a fully networked society — by that I mean enabling broadband access for all even in rural areas — quite often the most practical solution is a satellite-enabled solution. And the same for some of the bigger environmental challenges we are seeing around understanding and managing climate change. This is also true for the increased use of navigation systems. So I think we understand that actually to reach that ambitious target, the work that needs to be done is to drive the uptake of the applications of space,” she says. Satellite companies such as Thales Alenia Space and Lockheed Martin either opened offices and/or started investing more in the U.K. following the news of this government initiative. And the U.K. has been quick to increase the nation’s level of involvement with European and international space programs: the agency allocated a more than $315 million in December 2014 to satellite telecommunications programs, satellite manufacturing, the International Space Station (ISS), and ExoMars. Lockheed Martin's 3,000 UK employees are bringing a world of innovation to the United Kingdom. As we continue to grow our business, still greater opportunities lie ahead. For 50 years we have led the development of spacecraft to help scientists understand our planet. In the UK we are now building on this proud heritage, supporting the national goal of growing capabilities in space. It's work that excites the imagination and advances the frontiers of science. The U.K. is also evaluating sites for a national spaceport for both tourism and small satellite launches. Bunn pointed to the trend of miniaturizing satellite technology as a driver for smaller spacecraft that the U.K. is looking to launch. She cautions however, that it is still early days for the spaceport, which needs solid regulatory groundwork in addition to actual groundwork before the agency can begin launching commercial spaceflights in 2018. She says the U.K. Space Agency is looking at the regulatory environment before looking at some of the technological challenges. “The first step we have taken is to start to look at whether or not there is a site in the U.K. that would be suitable for a spaceport. We are looking at that regulatory environment before we look at some of the technological challenges, but it’s really at a very early stage,” she says. The Agência Espacial Brasileira (AEB), in collaboration with the China Academy of Space Technology, successfully built and launched the Chinese-Brazilian Earth Resource Satellite 4 (CBERS 4) on a Long March 4B. The CBERS 4 satellite is a replacement for CBERS 3, which was lost in a Long March 4B rocket failure in 2013. The two countries did not skip a beat after the incident, instead accelerating CBERS 4 from 2015 to December 2014. “AEB is committed for the next years to completing our autonomy on space access the best way we can, and to develop space instruments that can answer the needs of our population in areas such Earth observation, telecommunication, weather forecasting, natural disasters, science and technology and others,” says José Raimundo Braga Coelho, president of AEB. The Brazilian Space Agency was created in 1994, and is guiding Brazil to develop domestic space capabilities. In addition to the CBERS program, Brazil is jointly designing the Satélite Argentino Brasileño para Información del Mar (SABIA-Mar) spacecraft in partnership with Argentina for studying the ocean environment in the Southern Atlantic. On the telecommunications front, AEB is working with Thales Alenia Space to develop the Geostationary Defense and Strategic Communications Satellite (SGDC) for military and civil telecommunications. Brazil is also dedicated to building up a domestic launch capability and overcoming challenges here in the past. According to the fourth version of the National Program of Space Activities (PNAE), five different rockets are planned between now and 2020 to carry a variety of payloads to Low Earth Orbit, with the biggest, the Cyclone 4 rocket, capable of delivering 1,600 kilograms to Geostationary Earth Orbit (GEO). Ukrainian companies Yuzhnoye and Yuzhmash are cooperating with Brazilian engineers to design the rocket. The end goal is to have a bi-national company, Alcântara Cyclone Space, commercialize the launcher in addition to meeting national priorities. Coelho says Brazil’s space activities are split between developing satellite data for improving human quality of life, and developing science and technology to better understand the universe. He emphasized the need to pursue both concurrently, saying that the two are in a way related to each other. AEB is using partnerships, building up relationships with academia and tomorrow’s engineers, and carefully charting the path to make Brazil the standout space-faring nation in South America.